Sahar sees herself as a ‘bringer of beauty and creativity'. She enjoys helping people connect to their own beauty and their own creativity, and thus have them in turn contribute to the beauty and creativity in the world. This could be through hats, through teaching a workshop, or through uncovering people’s talents and uniqueness. 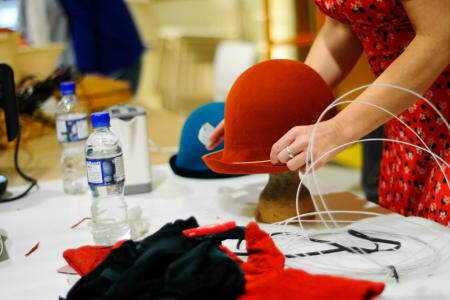 Primarily a milliner, Sahar has two millinery brands; 'UglyLovely' and 'Sahar Millinery'. 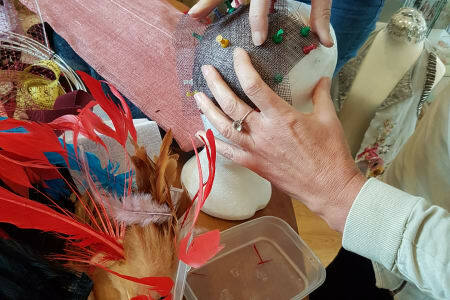 'UglyLovely' aims to create some of the most unique hats in London. Sahar hand-crafts each hat to create original and unique pieces designed to flatter the wearer. Both brands use traditional millinery techniques. While Sahar Millinery brings about timeless ‘vintage style’ elegance, UglyLovely focuses more on the macabre. Described as ‘sinister but beautiful’; UglyLovely is about the wonder and awe in the beauty of the strangest things, and a celebration of death. Here we see more sculptured pieces adorned with real butterflies, rusted keys and bird claws. Sahar discovered her love for beauty in the unconventional following her degree in Costume Design at Edinburgh College of Art. There, inspiration would come from varied sources; from great fashion designers such as Elsa Schiaparelli, to microscopic images of insects. After graduating, she then specialised in millinery and set up her millinery labels in London. 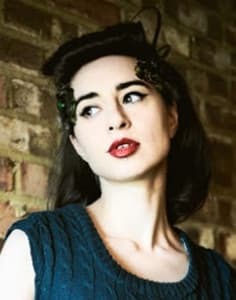 Her style reflects her varied Persian and English background, her love for British hats, as well as her exposure to the underground art world which surrounds her in London.